Kansas City Council Members Kathryn Shields, Heather Hall and Teresa Loar held a press conference Tuesday to discuss their ordinance regarding the city's plan for a downtown convention hotel. A Kansas City Council committee voted not to support an ordinance by council members Katheryn Shields, Teresa Loar and Heather Hall that would have frozen city financial commitments for the Loews Kansas City Convention Center Hotel project. Since the ordinance was drafted last week, more documents have been made available to council members. But concerns still remain over the city’s financial risk. Wednesday morning, city council convened for a public hearing. Kansas City Finance Director Randy Landes and equity investor Steve Rattner presented details about loans, bonds and tax incentives at the hearing, as requested. Landes said multiple times that the city is not in financial risk. Before the city shells out its portion, he said, everything else must be done — the LCRA documents must be complete, the loans finalized, the equity proven, the private loan partner selected — and that the city’s $35 million contribution is the last piece to this puzzle. After the hearing, the committee voted to not support the ordinance that would have stopped the city's financial contribution. But Councilwoman Hall says she’s committed to keeping the pressure on throughout this process. She and her colleagues plan to draft a resolution soon for ongoing review of the hotel project. Last week, the Land Clearance for Redevelopment Authority approved key documents for the Loews Kansas City Convention Center Hotel project. This step appeared to be the final step in seven years of planning and discussion. Councilwoman Katheryn Shields says most of those 18 documents approved by the LCRA weren't filled in. "That's a cause for concern," Shields says. So, last Thursday, Shields and her fellow council members Heather Hall and Teresa Loar, drafted an ordinance to halt the city's commitment of $35 million to the project until more detailed and clear information is released regarding the financial plan for the $322.7 million project. Councilwoman Loar emphasizes that they don't want to see this project delayed any further. "It's gone on forever in my opinion," Loar says. But, she says they've been asking for clarification about the budget for too long. "We've been promised different things all along and nothing has come to fruition," Loar says. "If you're not going to willingly give it to us, we'll put an ordinance in that will make you give it to us." They expressed interest in seeing proof of guaranteed financing and documents detailing the sources and uses of the money. Councilwoman Shields says they're not against the hotel by any means. "We don't want to end up in a situation where halfway through this we have a hotel that doesn't get built, or a hotel that's built but doesn't have the funds to operate," Shields says. "We need to be sure we're making a careful prudent investment for the citizens of Kansas City." Since they drafted the ordinance last week, more documents have been made available to them. Wednesday, there will be a public hearing in City Hall for further discussion. Equity investor Steve Rattner and other partners will be present to answer some of their questions. "There are hiccups to the process," says Councilwoman Hall. "We need to rewrite some of the contracts, rework some of the deals to find out exactly where we are and what the timeline looks like." Hall is hopeful some of this will be accomplished in Wednesday morning's hearing. Andrea Tudhope is a reporter for KCUR 89.3. You can email her at andreat@kcur.org, and follow her on Twitter @_tudhope. 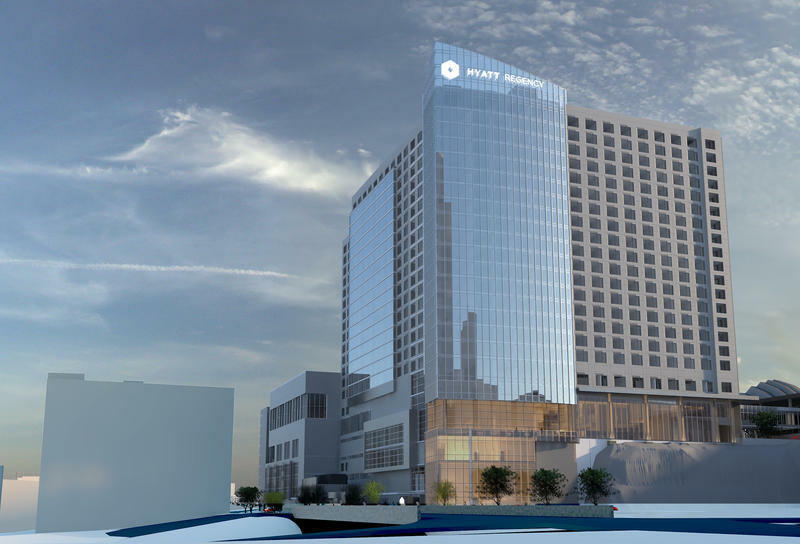 After seven years of discussion and planning, construction of a 24-story, 800-room downtown convention hotel in Kansas City is expected to begin Jan. 2 following approvals of key documents Wednesday. A thick stack of financing and property transfer documents necessary for the $322.7 million Loews Kansas City Convention Center Hotel project was approved unanimously by the Land Clearance for Redevelopment Authority. 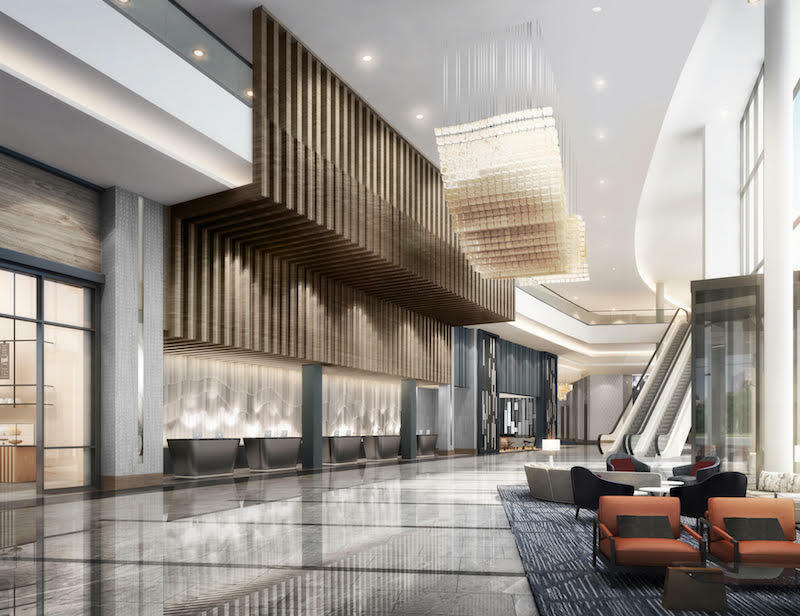 The planned $310 million convention hotel project is expected to create a better pedestrian connection between major downtown destinations as well as provide dramatic views for its guests, its architect says. “We believe that this building should be designed for the residents of Kansas City,” architect Bob Neal of Atlanta-based Cooper Carry told the City Plan Commission Tuesday. 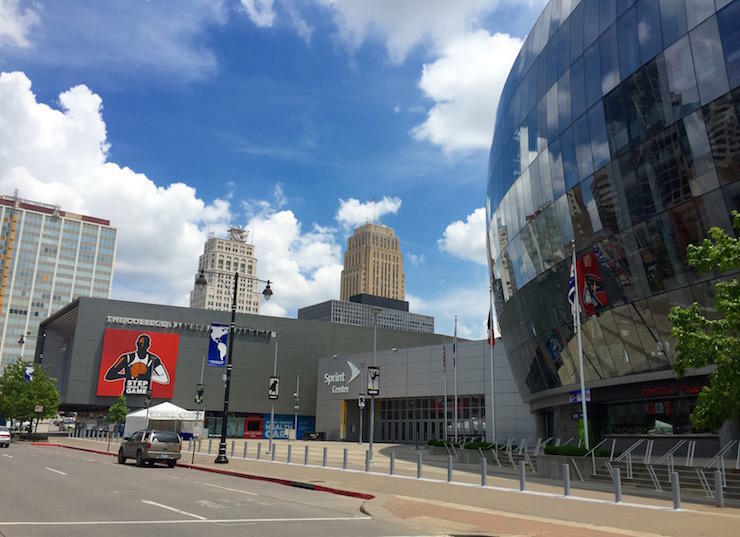 The Kansas City Council Thursday passed an accelerated ordinance for the proposed Kansas City convention center hotel, clearing the way for developers to seek financing and possibly break ground this fall. Mayor James came out swinging today against Republican tax reform proposals being considered in Washington, saying they would “cripple” vital city redevelopment and infrastructure efforts including the planned new terminal at Kansas City International Airport.